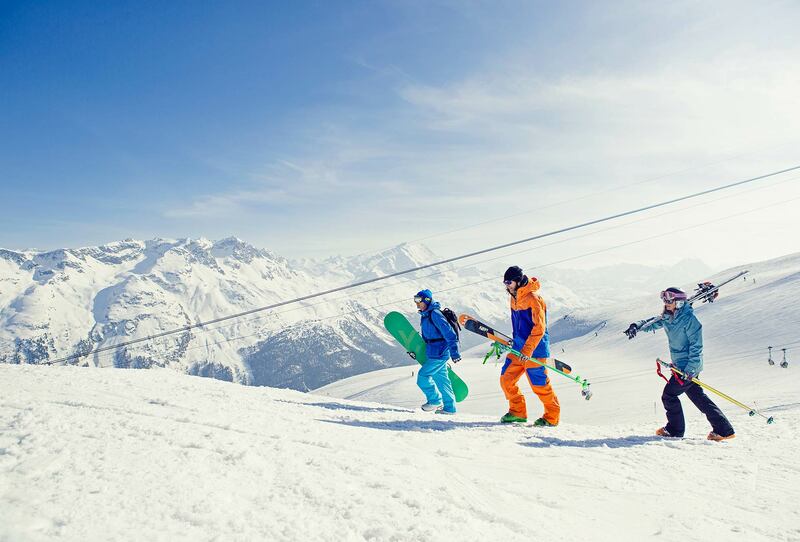 at an altitude of 1,800 meters. crowns a perfect vacation day. You have the choice: modern culture and pleasure hotel or venerable art nouveau hotel. Together they form the heart of St. Moritz Bad. 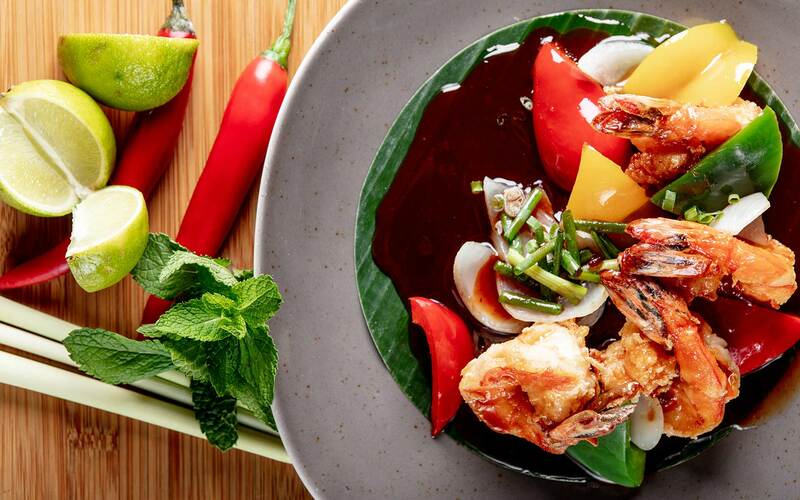 Dine around the world with us. Start with regional, Italian or Asian specialties. Whatever you are in the mood for. Through our delivery shop we offer more than 170 dishes from our restaurants. Directly to your room if you stay with us. Or to you front door. If you like timeless elegance, enjoy the Victoria Bar in the spacious lobby of Reine Victoria and let our Barchef Longo spoil you. Smokers are also welcome in the cellar bar of Laudinella. Experience a hotel in which art is given high priority. Artists in Residence are our guests all year round. 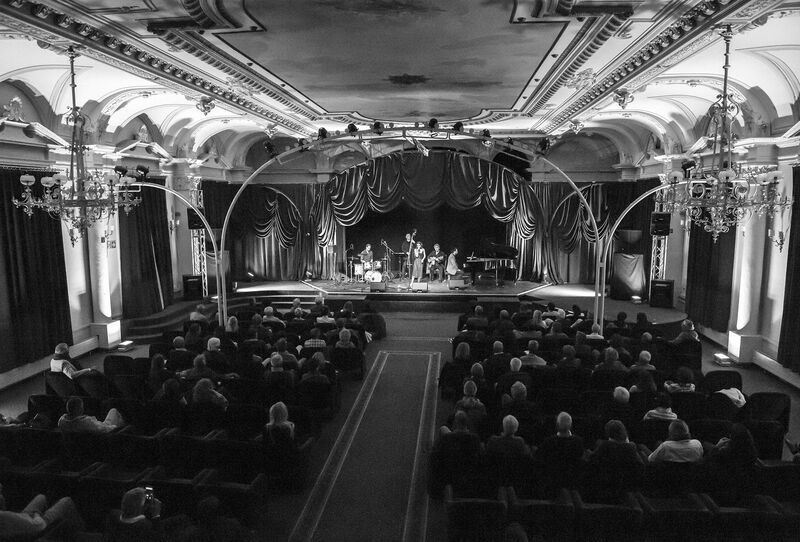 Artists, hotel guests and the public meet in a relaxed atmosphere at selected events – concerts, readings, exhibitions, lectures, discussion series. Practicing prepared pieces with Répétiteur. The teacher divides participants into chamber music groups. The sheets are sent in advance to prepare. Adult violinist and chamber music groups with strings (Trio / Quartet). Please enter with your login the pieces you like to practice during that week and a short musical CV. 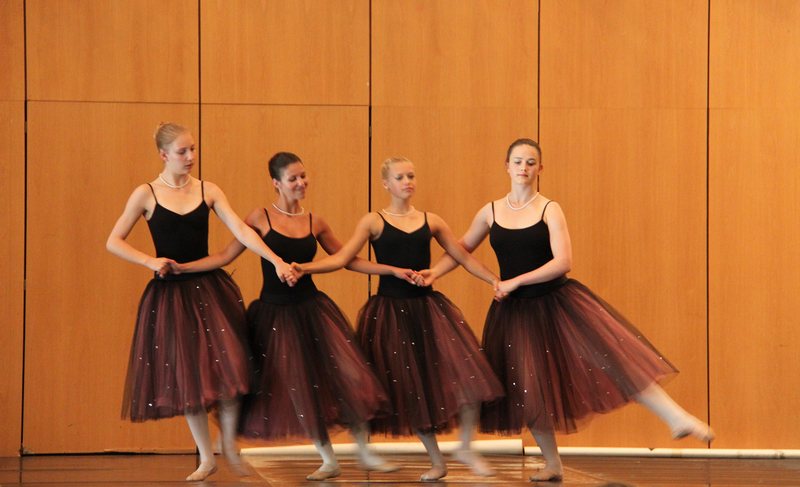 The students of the ballet classes of the music school Oberengadin show their skills. Under the leadership of Moses, the people of Israel reach the border with the land of Canaan. Behind them lies the wondrous liberation from oppression and slavery in Egypt. Before them lies a glorious land that God has promised them. There in the desert, in the field of tension of newfound freedom and the longing for old structures, Moses and his people must master great challenges before they are finally ready for the entry into the land of Canaan. The musical about the ups and downs of the Israelites, the exciting mission of the twelve spies and the last days in the life of Moses: intoxicating, profound and unexpectedly close to the challenges of today. The musical “Mose – 40 years desert” was written by a team led by Jonas Hottiger and Marcel Wittwer. The students of the violin and chamber music classes present the rehearsed pieces from the intensive course week. 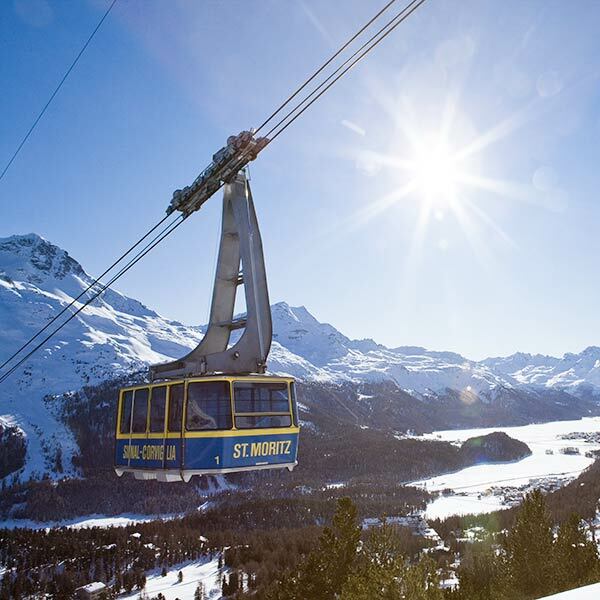 There are a lot of activities to choose from in St. Moritz. This interactive map provides all the information you need. Simply click on the highlighted points and learn more about sport, culture and class. 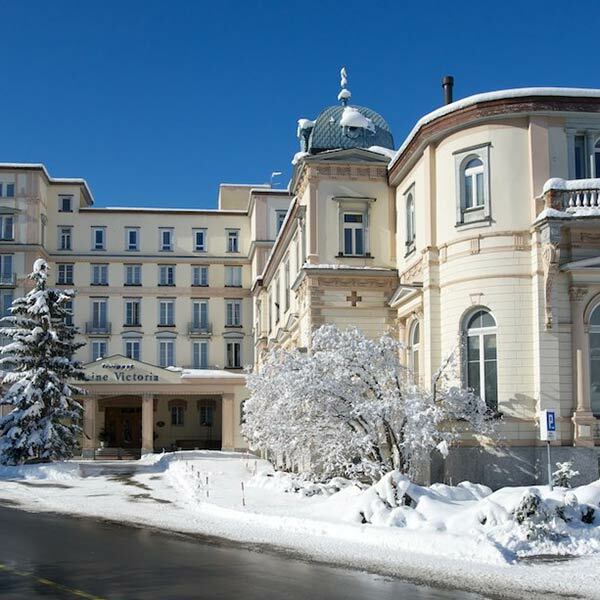 Hotel Laudinella Das Kultur- und Genusshotel hat das ganze Jahr für Sie offen. 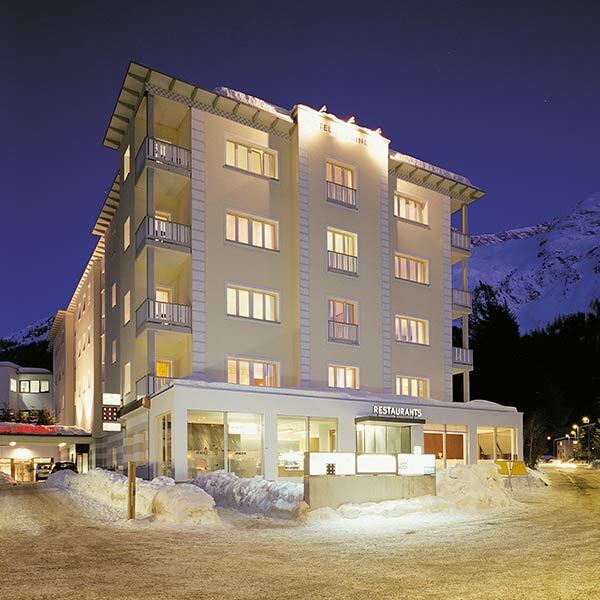 Denn The Kultur- and Genusshotel is open all year round. 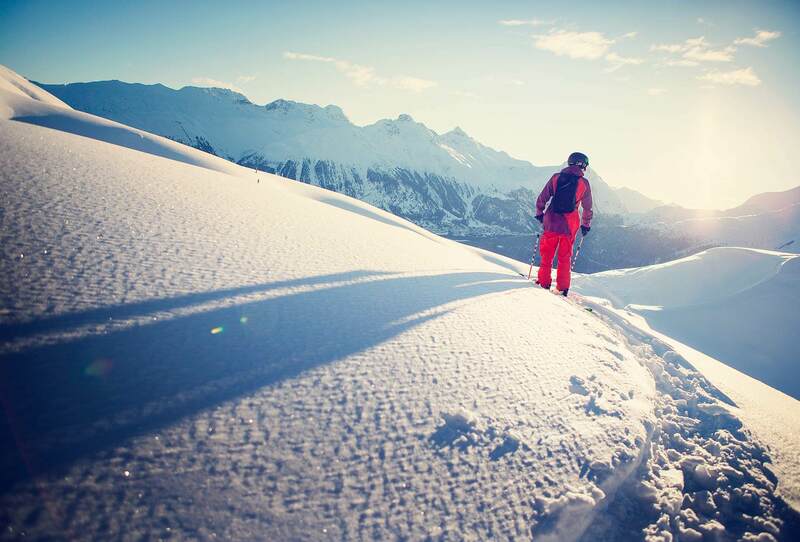 Because St. Moritz and the Engadine are beautiful 365 days a year. Hotel Reine Victoria In the venerable Art Nouveau hotel, your stay will remind you of the Belle Époque, with all the amenities of a modern hotel. 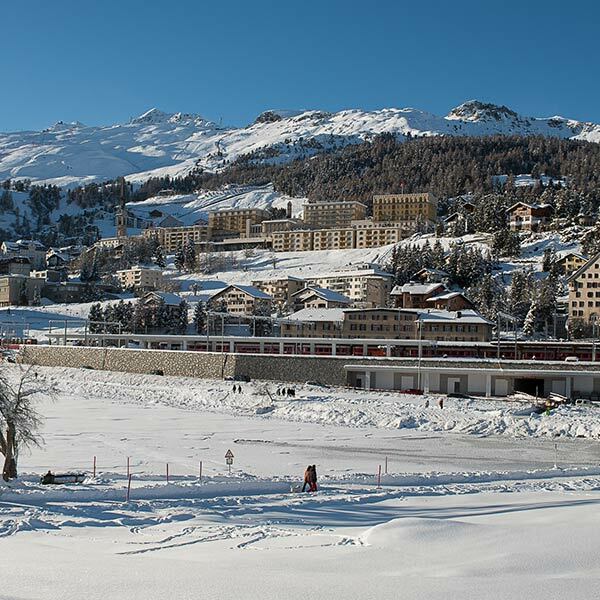 Lake St. Moritz in winter The frozen lake invites for winter hiking and spectacular events like White Turf, Snow Polo or Ice Cricket. 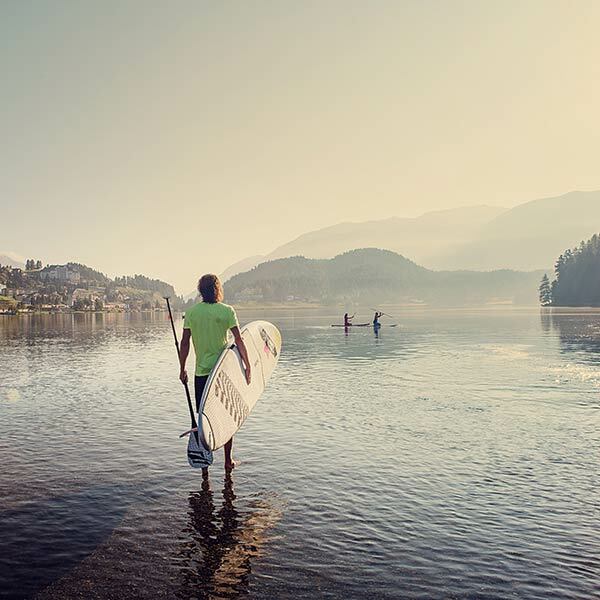 Lake St. Moritz in summer Strolling and jogging around the lake, sailing and stand up paddle boarding on the lake. Everything feels glamorous. Spa and indoor swimming pool OVAVERVA The stylish spa and pool facilities with indoor swimming pool, a heated outdoor pool, diving boards, slides and a generous spa area is in the immediate vicinity. Admission is included for our hotel guests. Signalbahn Railway The main gondola to the ski and bike area Corviglia is not far away. 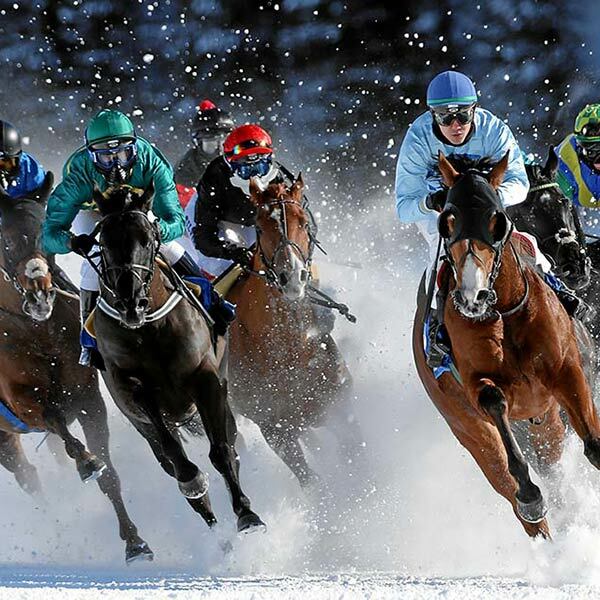 Do you know our sports packages? Railway station We are happy to pick you up at the station with our hotel bus. The journey along the lake takes only a few minutes. Olympia Bob Run The only natural ice bob run in the world is built by hand every year. Would you like to try a guest ride? 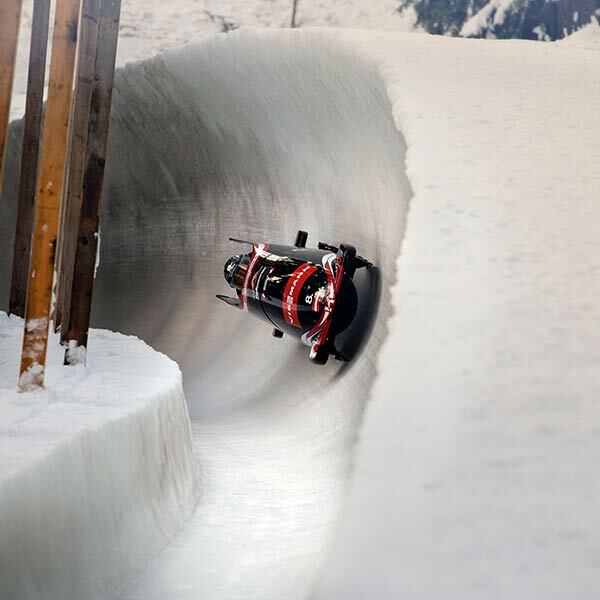 Cresta Run On your belly through the ice channel. Not skeleton, but Cresta. 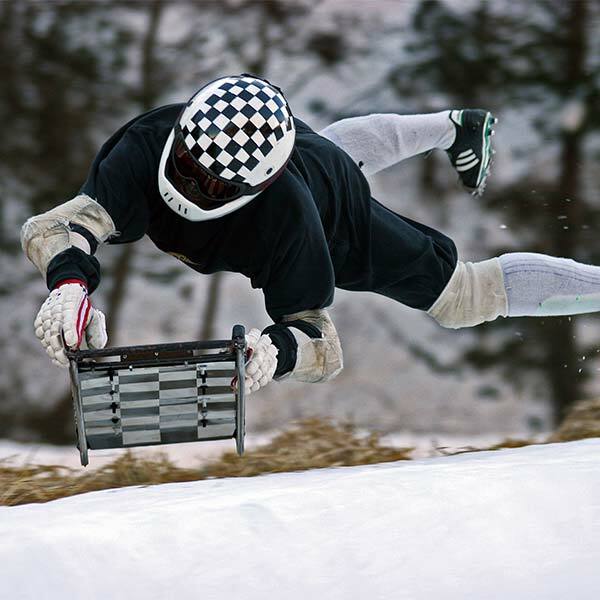 Similar but much wilder - only in St. Moritz. 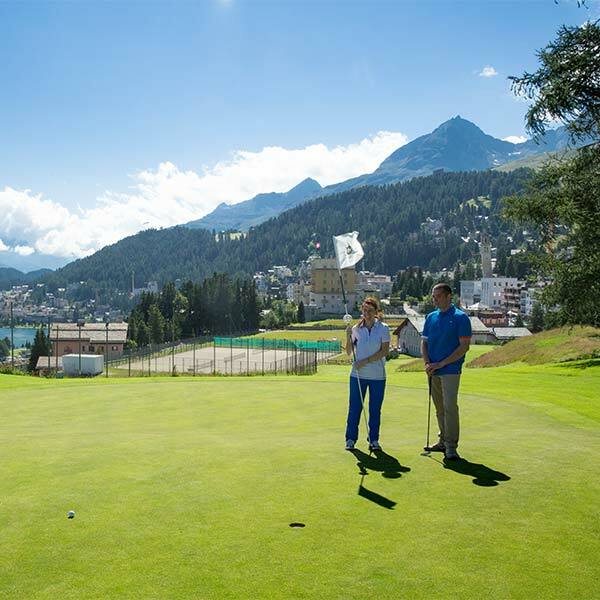 Kulm Golf The Engadine has three golf courses. 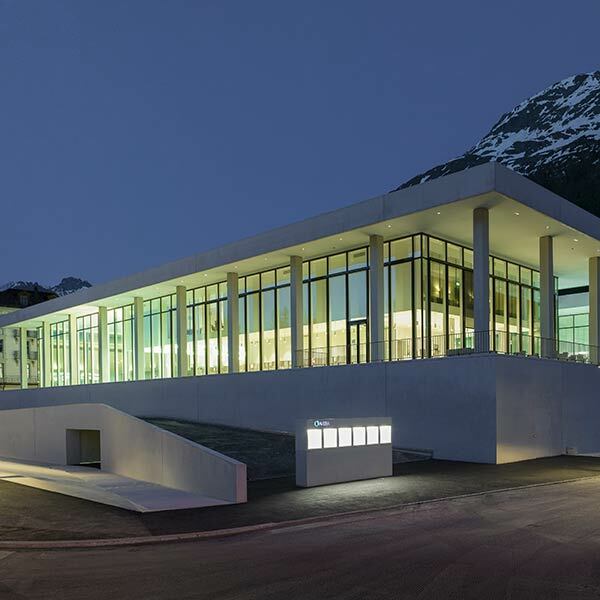 One is located in the middle of St. Moritz village and has nine holes and a driving range. The Leaning Tower The 33 meter high tower is inclined by 5.5 degrees - which makes it more inclined than the Leaning Tower of Pisa. 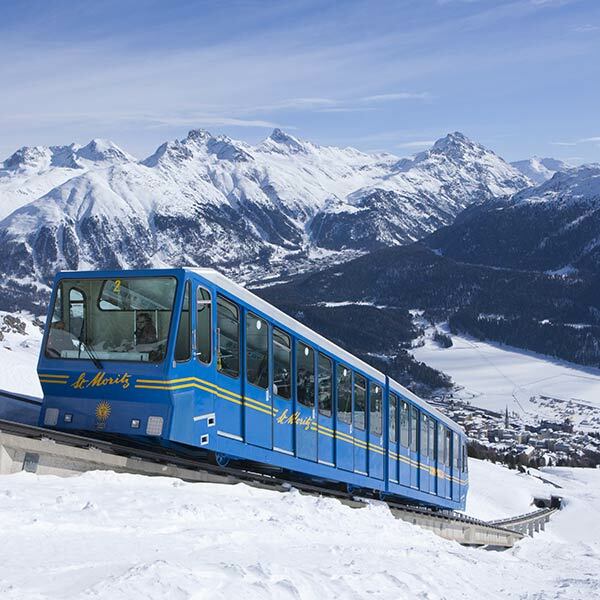 Chantarella Railway Opened in 1913, it was the first funicular railway in St. Moritz. 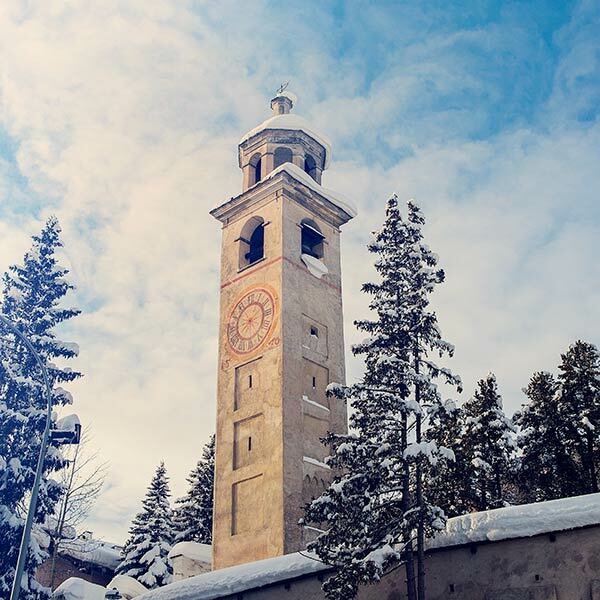 Follow the historic path on the modernized funicular railway.